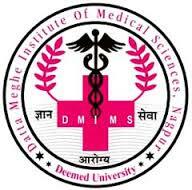 Datta Meghe Institute of Medical Sciences, a Deemed University was granted this status by the University Grants Commission in 2005. It has been reaccredited with the Grade A grade by the National Assessment and Accreditation Council (NAAC) for a period of five years in March 2013.Thereafter, it was ncluded in the elite Category A by the Ministry of HRD, Government of India amongst the Deemed Universities in the month of May 2013. The University is also the recipient of the Dr. B.C. Roy Award for Research. The constituents of the Deemed University are located in a 125 acre campus in Sawangi (Meghe), Wardha about 80 kms from Nagpur, Maharashtra, India which is the geographic centre of India. It is located away from the hustle and bustle of the city amidst serene surroundings in a self sustaining complex with an excellent academic ambience. It is very well connected by road, rail and air (via Nagpur) to all the major cities in the country. Nagpur has now become an international airport with direct flights from Sharjah and many more on the anvil in the near future.